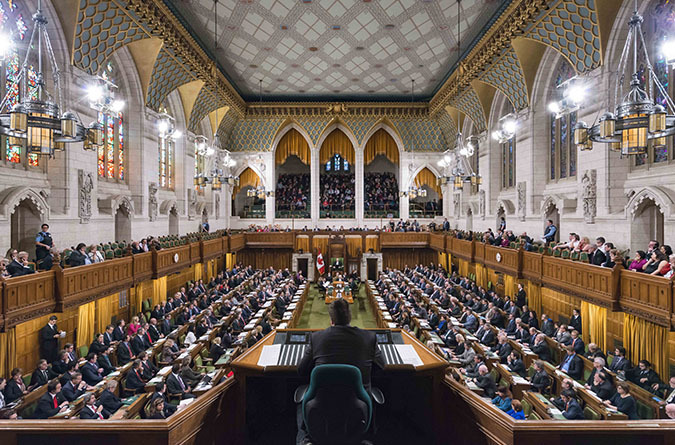 The American Society of Human Genetics (ASHG) has lauded the passage by Canada’s House of Commons yesterday of a measure designed to prevent discrimination against patients and research participants based on genetic information—but the measure faces an uncertain future. The Genetic Non-Discrimination Act (S-201), shepherded by Liberal MP Rob Oliphant who represents Ontario’s Don Valley West electoral district, will advance to Canada’s Senate for minor technical changes following passage by the House of Commons by a vote of 222 to 60. S-201 bars requirements that force individuals to undergo a genetic test, or disclose the results of a test, as a condition for acquiring a product or service, or for entering into a contractual agreement. The legislation also bars employers from requiring employees to undergo genetic testing or disclose testing results, or from discriminating against employees who refuse to undergo such tests, or reveal their results. The Genetic Non-Discrimination Act would also amend the Canadian Human Rights Act, enacted in 1977, by barring discrimination based on genetic characteristics. However, Prime Minister Justin Trudeau, also a Liberal, opposes S-201, calling the measure unconstitutional. Justice Minister Jody Wilson-Raybould has directed all provinces and territories to state their stance on the constitutionality of the measure, saying that the governments of Quebec, Manitoba, and British Columbia had voiced concerns over the measure’s implications for provincial jurisdiction over discrimination, according to The Hill Times, a weekly newspaper focused on covering Canada’s politics and government. Canada’s insurance industry has also opposed the measure, arguing that payers would be forced to assume more risk, which they would pay for by charging policyholders higher premiums. “At a time when genetic testing is increasingly being incorporated into clinical care and researchers are performing analyses of human genomes on an unprecedented scale, it is critical that the genetic information of patients and research participants alike is not misused,” ASHG President Nancy J. Cox, Ph.D. said in a statement. Nearly 200 Canadian members of ASHG and their colleagues signed a letter to Parliament supporting S-201 in November. Earlier this year, the Society awarded its 2016 Advocacy Award to the Canadian Coalition for Genetic Fairness and former Senator James Cowan, LLM, QC, citing their efforts to prevent genetic discrimination. Cowan originally introduced the measure in Parliament, but retired from the Senate in January. The Canadian legislation bears similarities to the U.S. Genetic Information Nondiscrimination Act (GINA), which became law in 2008. “We recognize the need for protections against genetic discrimination worldwide, and we welcome the establishment of such protections in Canada,” Dr. Cox added.